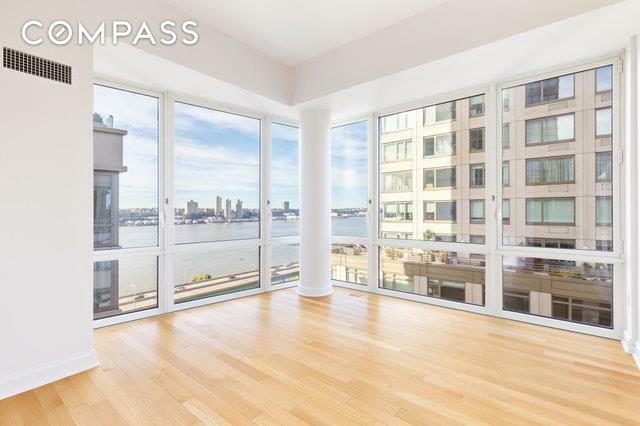 Located at the luxurious, full-service Rushmore Condominium is this magnificent high floor, sun-drenched and mint-condition corner apartment. 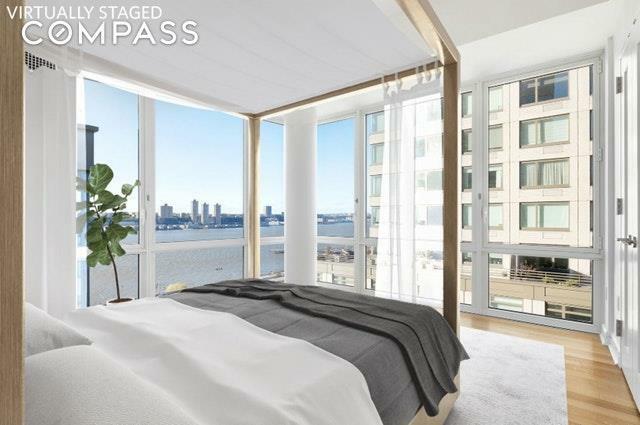 With 4 exposures and floor-to-ceiling windows, the 1492sf, 2-bedroom, 2-bath apartment has open city and partial river views. Stepping through the entry foyer, you will be immediately greeted by high ceilings and dramatic wrap around windows. 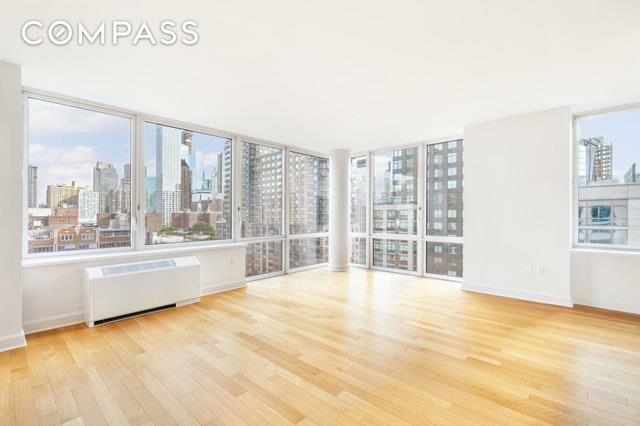 Facing both east and south, with open city views, the living room is spacious and bright. Adjacent to the living room is the well-appointed kitchen boasting high end appliances including Subzero refrigerator, Subzero wine cooler, Miele dishwasher, and Viking range. A large separate space next to the open kitchen can be used as dining area or den/home office. The smart, well-planned layout has two corner bedrooms, including a very private, spacious master suite, and two luxurious marble bathrooms with Waterworks fixtures. Other features include hardwood floors throughout, a washer/dryer, central air/heating, double-paned insulated windows and California closets. 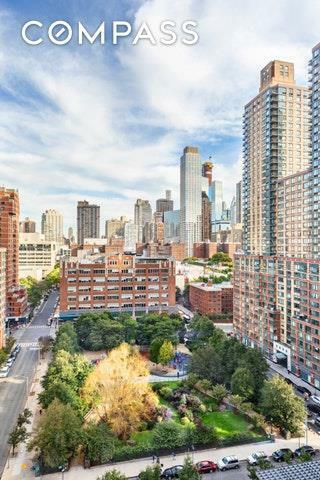 The Rushmore, designed by Costas Kondylis and Partners, is a residential retreat with amenities galore and the vibrant Lincoln Center/Riverside Park just a few blocks away. The resort-like amenities include: concierge service, full-time doormen, a full-service garage, a La Palestra designed Health Club/Spa with an indoor swimming pool, children's playroom by Kidville, billiards room, screening room, entertainment room, bicycle room, a Garden Lounge and on-site storage. Riverside Park is just outside the door and provides one of the greatest settings in the city for outdoor activities: there are biking and jogging paths, baseball diamonds, basketball courts and the Boat Basin. There are shuttles to public transportation. Listing courtesy of Alvina Chiu of Compass.